My recollections are rather vague. That weekend was a couple of weeks before teams were off to the Berger or Greece and final meetings were planned in the Marton Arms. This is why there were not more people on the trip. I had spent Saturday in the Horton area with the Proventina mob on a cliff somewhere practising before meeting in the Marton Arms. I got very pissed and they could not wake me when the callout came. In the morning they had left someone there to drive me across so having a night’s sleep I was shoved into the team that went down. I don’t think Jim Eyre came down the Marathons with us He does not claim to have gone beyond Rough Chamber in the Independent article. I remember him in Rough Chamber when we returned. Jim Newton is likely to have been with us. We were looking for five people. Someone else stayed with me while I identified the first two bodies. However, I did not know Geoff Boireau and after moving them and crawling over them I was confused not to know one of them. However, the others returned as I was still trying to work it out and they said they had located the other three so who was who did not matter at that time as they were all accounted for. We could do nothing else except return to let the surface know. Back at Rough Chamber, I’m sure Jim Eyre was there manning the phone, we started to debate if we could do anything further but he was adamant that we return to the surface, He didn’t tell us of the likely hood of more rain. When we got out the dam had grown considerably and water was lapping at the top with a couple of blokes led on it where it was nearly overflowing. Shortly after Johnny Shepherd said there were six of them. I have a feeling we didn’t know it was Oggie but am not certain. I don’t think either account is particularly wrong after all this time. In both their articles they admit that they were both stressed out. Tony left after finding the two bodies and Frank was in shock and has been troubled by it since. Jim Eyre, I am sure stayed in Rough Chamber. Tony could have been in front when the light was found as his description is detailed. I know Tony but I do not know Frank and don’t exactly know who was with us. Tony left after finding the first bodies I don’t think he would go alone. Frank Rayner, Jack Bloor and Jake Dickinson went on and found the other three, I’m sure Frank would remember this. Frank Barnes went down to Rough Chamber with Jim Eyre and Jimmy Cunningham to lay a telephone cable. They stayed there all day. 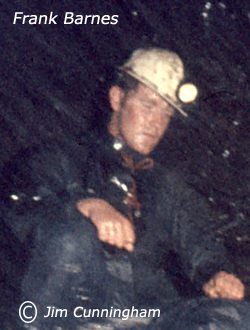 Frank did not know Tony Waltham or Frank Rayner and cannot say if he met them in the cave during the rescue attempt. A group of us including Oggie, John Shep and me spent the night before Mossdale at a cottage owned by John’s current girlfriend – Barbara (?). She was the wife of a cave diver (can’t recall the name – I didn’t know him) who had been killed while cave diving some time earlier. I think the cottage was in Hardraw near the Green Dragon pub. I am not sure who else was there but it was likely Bill was with us. I am fairly sure the Leeds lot came up in the morning. I never went beyond Rough Chamber. I was in a group of five or so who I think was first into the cave. We ran a telephone wire to Rough Chamber. I think Jim Eyre was in the party. We had been told not to pass Rough chamber and we waited there for several hours, willing the drips which sounded like footsteps to be footsteps. This was even though we realised that if they came they would be crawling, not walking. When they didn’t turn up I was convinced they were dead, as the cave had then been passable for at least 12 hours and I couldn’t see how they could all have been injured so that they couldn’t move. We finally went out – I can’t remember if Jim Eyre came out with us. My feeling is that he did. When I got out I was told not to go back in as it was likely I was traumatised. I did not go in again, though I was on the surface for several days. You are immediately into a low passage where it isn’t possible to pass. Its crawling, the whole cave most of it is crawling: there are just odd places that you can stand up. We slid down a narrow slot and then we crawled. The six had gone ahead because we weren’t going as far as them and we couldn’t have passed, so they all went down and then we followed them (pauses) never caught them up; never saw them again. It was a difficult cave but: most of it was miserable rather than difficult. It was long, lots of crawling, very easily flooded, no really big chambers and rarely was there that much to see. It was all the nastiest things about caves, we didn’t know that much about it; it was purely what we had read and we went just as tourist being taken by Dave Adamson who was one of the foremost experts’ on that cave. He was planning to blast at the bottom to try and get through a passage that was very tight; they had taken explosives down with the idea of blasting in the passage at the bottom. In the morning we had walked down to the river Wharfe, John Shep and I walk down to the Wharfe and it was quite high. I had listened to the weather forecast so I did have worries about going in a cave like Mossdale, but Dave Adamson was a very experienced cave who had mapped the cave; he had advised in case of a flood that there were places to go where the water would not get you. It was his expertise that we were tapping into when we went down that cave. The six that were going to the bottom needed to go in first, we followed them shortly after: we heard them ahead for a time but we never caught up with them. The girls didn’t have wet-suits so we had planned in advance that we would go to Rough Chamber which is a small chamber; smaller than a normal room in a house and come out again. That we did, we came out after three, between three to four hours, we all walked back across the fell. I distinctly remember walking with Morag and it started raining, huge drops of rain and she was saying then that she was worried about Dave. JIM CUNNINGHAM ABOUT WAITING IN ROUGH CHAMBER. There were fire engines, pumps, JCBs, sand bags there must have been four or five JCBs. We sat and waited for them to come out, we knew the water had dropped, we were still expected them to walk out. In caves you often get drips that can sound like footsteps. Time and time again it sounded like footsteps but we realised that they couldn’t walk even if they were coming out they wouldn’t be walking it was all crawling. The team came out again with the terrible news that they had found five bodies, they weren’t sure who they hadn’t found and obviously we were devastated. 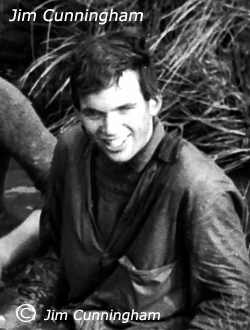 I had caved with him for four years; he was an excellent friend, very hard, very capable, he was an experienced diver. He was the sort of guy that had he been underwater for a time he might have been able to swim through to somewhere that was safe. 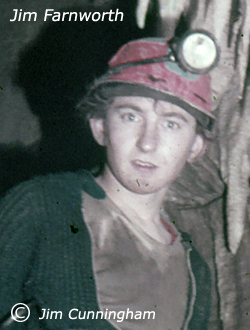 Jim Cunningham, John Shepherd, Morag Forbes and Collette lord entered the cave with the other six cavers but as was their intention, they visited Rough Chamber and then returned to the surface.